Jeannette is a 15 year old high school senior at North Shore High School in Glen Head, New York. Jeannette hopes that this experience with CollegeComplete.com working to get the word out about Free Education Advice will pave the road for a future career as a Public Relations representative. This year I have embarked on an experience that can potentially change my life. 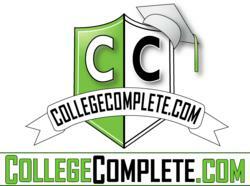 I’m so happy to be interning for CollegeComplete.com! Jeannette is a 15 year old high school senior at North Shore High School in Glen Head, New York. Jeannette hopes that this experience will pave the road for a future career as a Public Relations representative. Jeannette is interested in theater as well and has been a part of various productions at the high school. She hopes to represent film actors in the future. Jeannette has been interested in theater her whole life, and has always looked up to actors and actresses in the films and plays she grew up watching. However, she is interested in business as well and found that a career in marketing would be a steady balance between the two. She has been involved in many school plays such as “Hello Dolly”, “Grease”, “Annie”, and many more. Originally from Queens, she spent many Saturdays at the park by her house watching weekly performances. “This year I have embarked on an experience that can potentially change my life. I’m so happy to be interning for CollegeComplete.com!” said Jeannette. The effect of the business capital, Manhattan, so close to her, greatly impacted her decision to major in Business Management. Jeannette is hopeful that her work with CollegeComplete.com will help her in reaching her goals. Jeannette is a 15 year old high school senior at North Shore High School in Glen Head, New York. Jeannette is currently visiting and applying to colleges all over the east coast, but maintaining her dream of going to NYU. Other schools she sees herself going to are SUNY New Paltz and CUNY Baruch. Past college, Jeannette hopes to be managing actors and actresses from an office in New York.